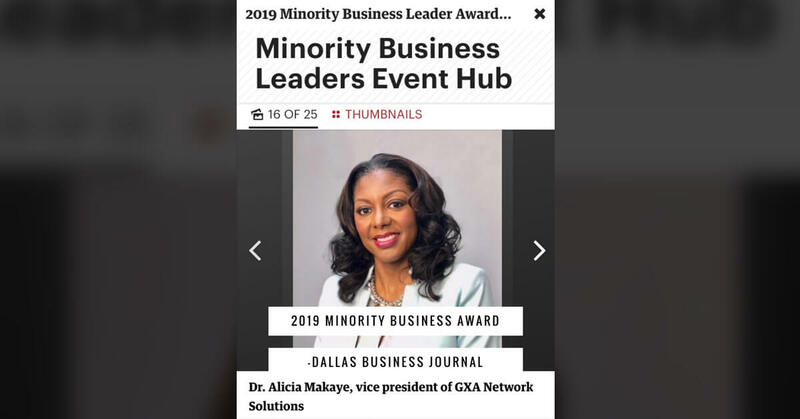 We’re proud to announce that GXA Vice President, Alicia Makaye, is among the 2019 Minority Business Leader Award Honorees. Each year, the Dallas Business Journal’s Minority Business Leaders Awards seek to honor men and women from across North Texas for outstanding business and community leadership. Alicia was selected for her impressive track record in the DFW area and her impact on the community.